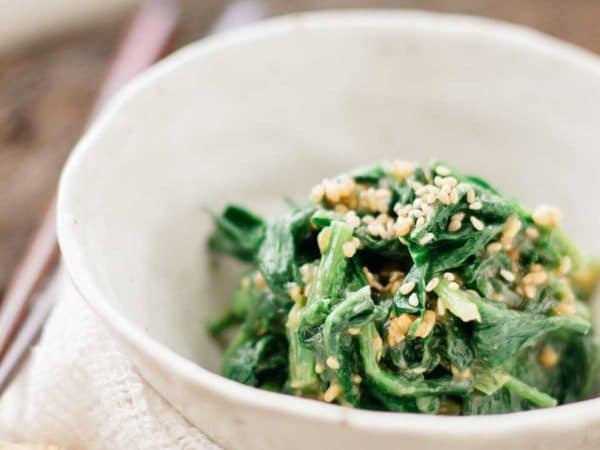 Japanese spinach salad with sesame sauce is called Spinach Gomaae in Japanese. 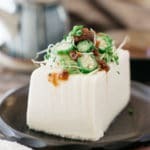 This Japanese side dish is really easy and super quick to prepare. 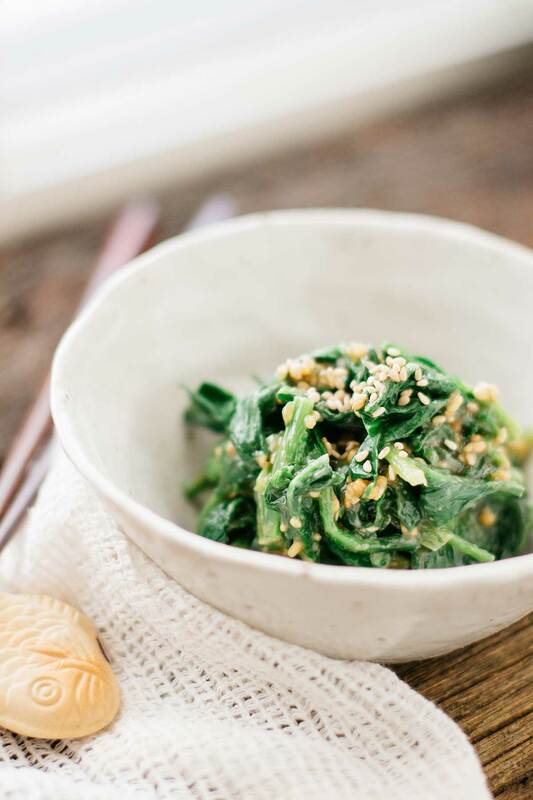 It’s a great dish to make for people who aren’t too fond of vegetables and the taste of spinach because the sesame covers the taste and gives it a really delicious nutty flavour! 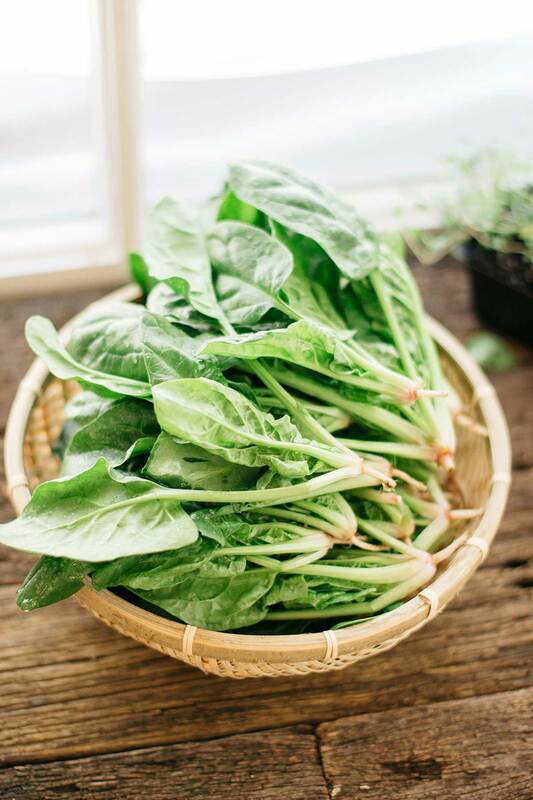 Spinach is in season now in Brisbane and I found a fresh bunch of spinach at a local organic market. It’s best to eat organic leafy greens because then you’re not directly ingesting pesticides. 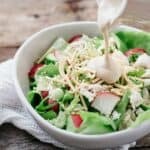 The spinach in this side dish is boiled which makes it smaller and wilted so it’s easier to eat a lot of the spinach, which is great to get an extra serving of veggies in. 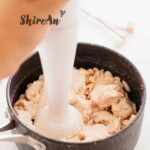 If you can not get white sesame seeds, you can replace it with tahini or natural peanut butter. I actually quite like to use peanut butter flavour! I also brought my favourite Japanese mortar (Suribachi) and pestle (Surikogi) when I came to Australia but if you don’t have one, you can get one from Daiso for only $2.80 in Australia. It is good invesment for your kitchen if you love Japanese food and cook Japanese food often. Spinach gomaae is a perfect side dish for many different meals and is also great to pack in bento for lunch! 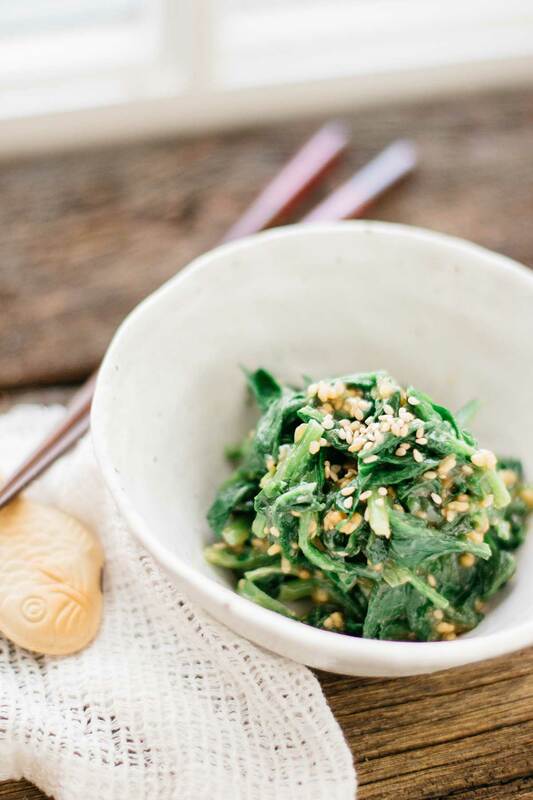 Spinach gomaae is a super easy and quick Japanese side dish that goes perfectly with many dishes! It's healthy and delicious! 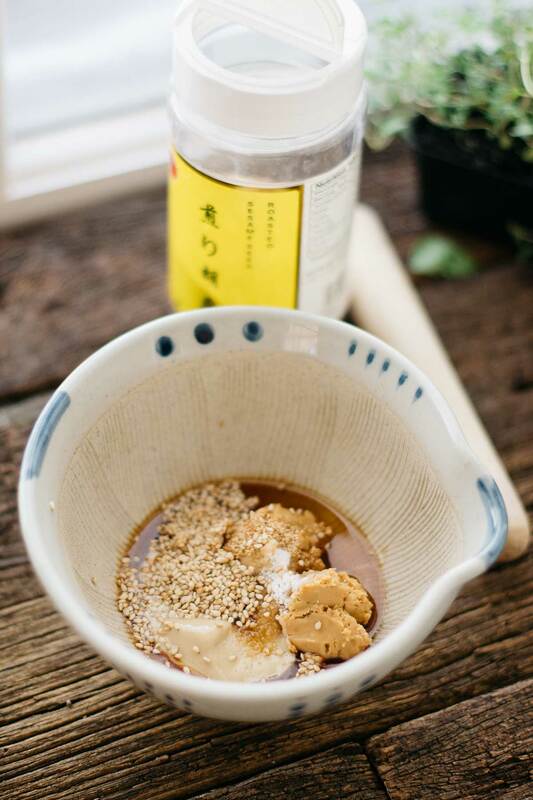 Place the sesame seeds, sugar, mirin, and soy sauce in a mortar and grind them all together and set aside. Boil water in a large pot and add the spinach bunch in (from the stem side first) and cook for about 1 minute. Take the spinach out and put immediately in icy cold water to avoid the spinach being cooked further. Squeeze out the excess water and cut the spinach about 5 cm long. Add the spinach to the mortar and toss together with the sesame sauce. Serve in a small bowl and sprinkle more sesame seeds on top. Spinach can be replaced with other Japanese vegetables such as Shyungiku. My boyfriend and I tried this recipe, we love it.